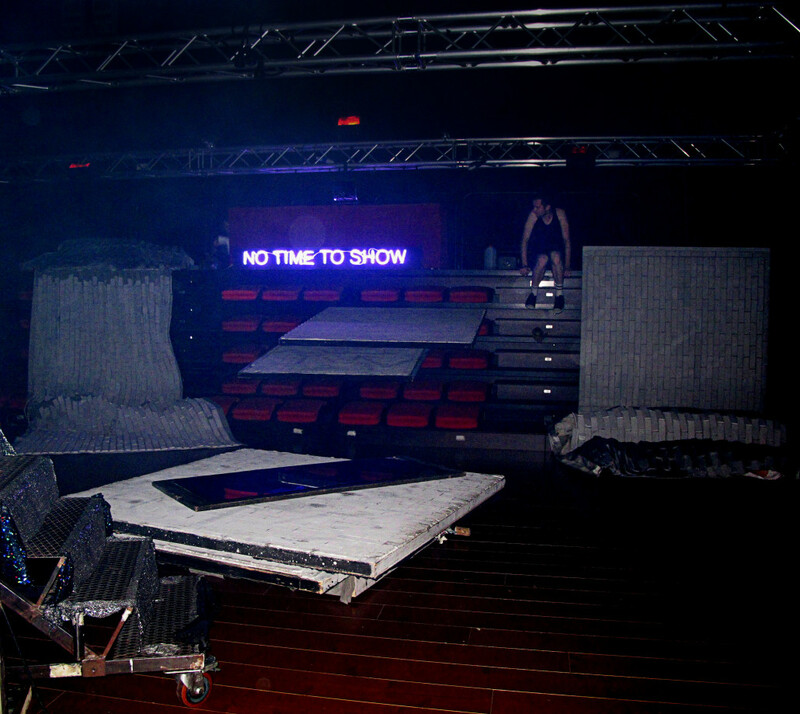 Developed in conjunction with Green Room, Club Epoc- shares its reflections on the concept of “epoché”, a term indicating a “suspension of judgment”. 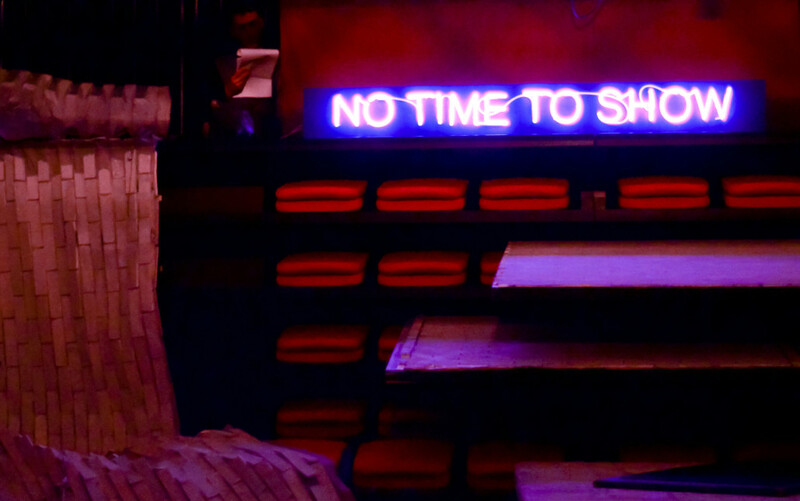 For two consecutive nights the theatre becomes a study area, set up with some props selected from the storage room of the theatre itself; residuals from past shows, now assuming a new role. 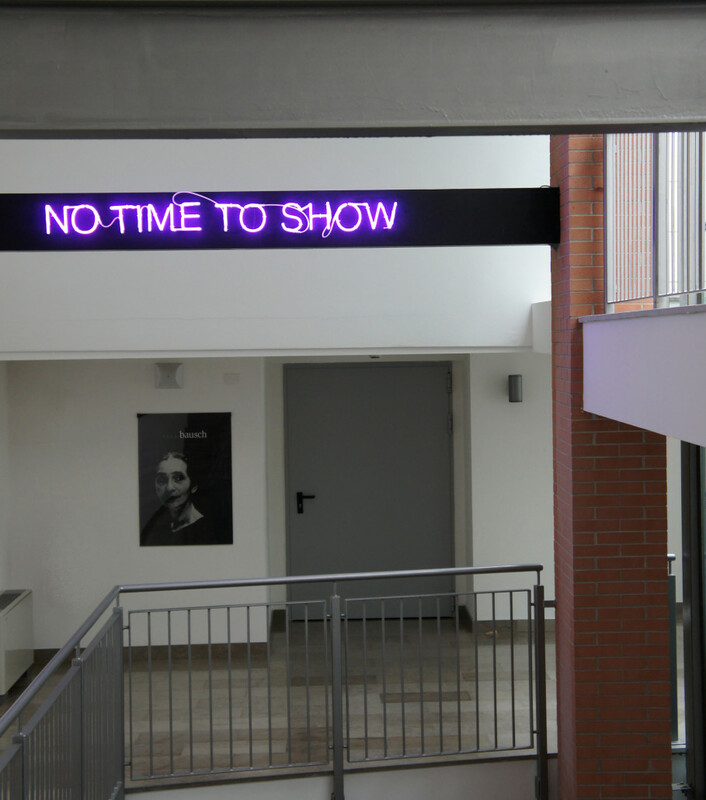 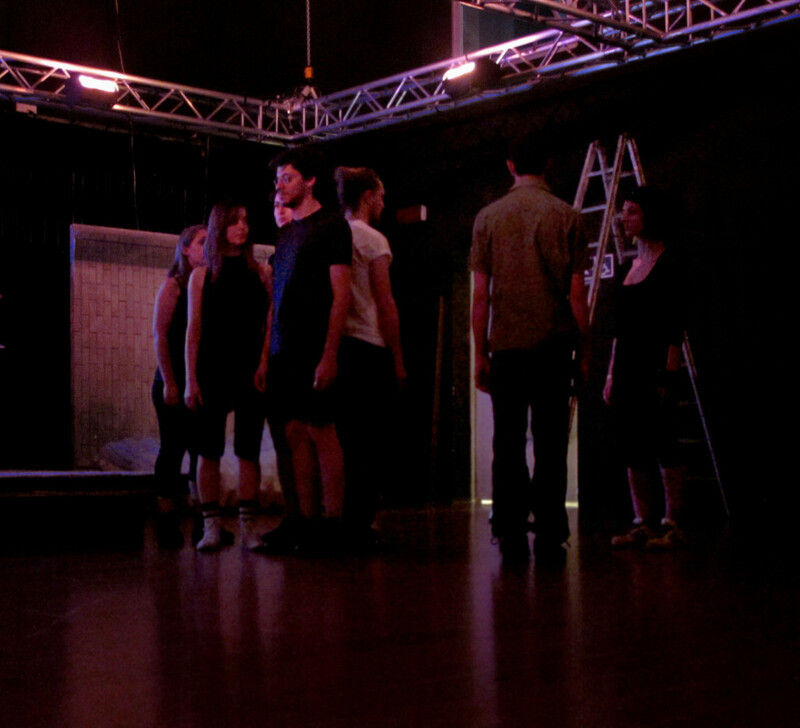 On this set, illuminated by a neon sign reading “NO TIME TO SHOW”, a group of extras, guided by Italian choreographer Marco Mazzoni, is rehearsing new configurations in relation to the space and the audience.